This magnificent, large ormolu clock and barometer set is designed in a rich Neoclassical style, typical of Napoleon III period decorative arts. 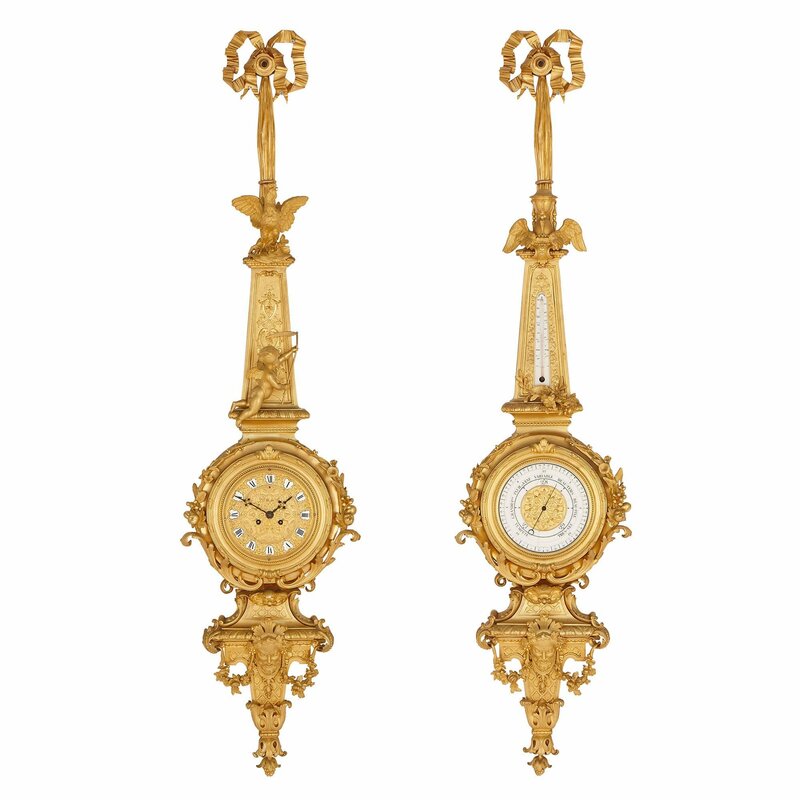 The ormolu clock and barometer are almost identically designed. Both feature a circular case, containing on one piece the clock dial and on the other the barometer. Beneath these, there are pointed architectural forms, decorated with egg-and-dart mouldings and lattice-work patterns. These terminate in foliate ends, with tips cast as clusters of grapes. 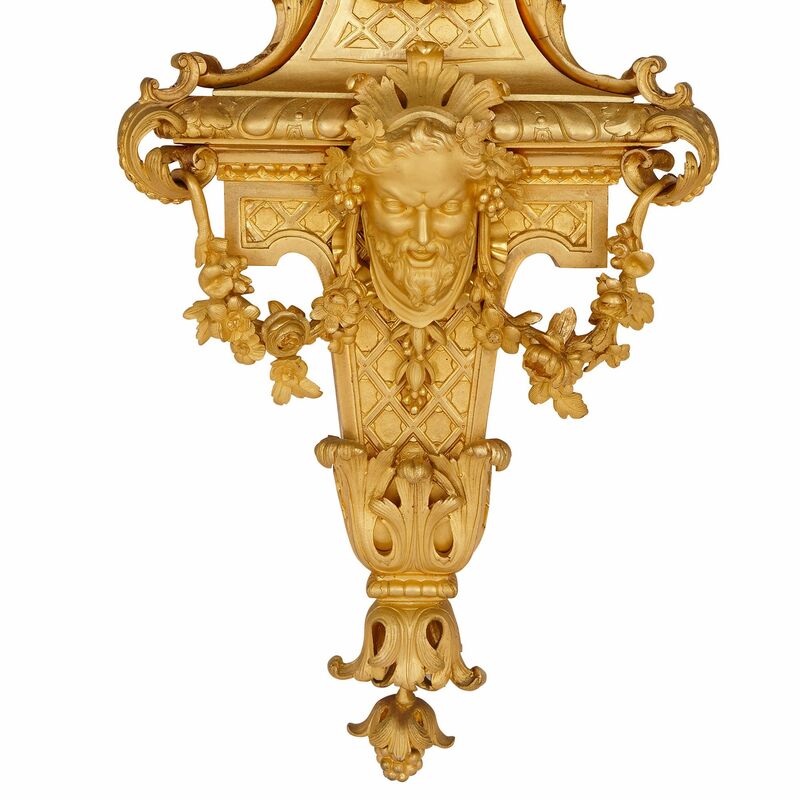 These architectural forms are mounted with flower garlands, which meet at a centre point, mounted with a classical bearded male mask. Above, the circular cases are edged with scrolling, fruiting foliate forms. 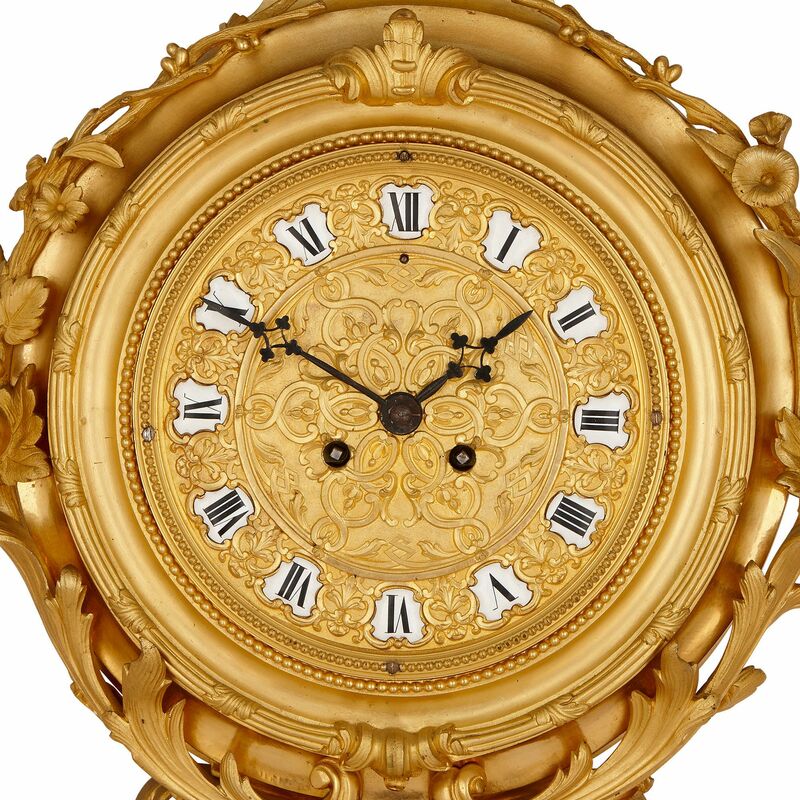 The clock dial is faced with highly-ornate ormolu, punctuated by white enamel panels containing black Roman Numerals. The barometer face is composed of white enamel, with a decorative ormolu medallion at its centre. The circular cases are topped by pedestals, which taper near their tops. 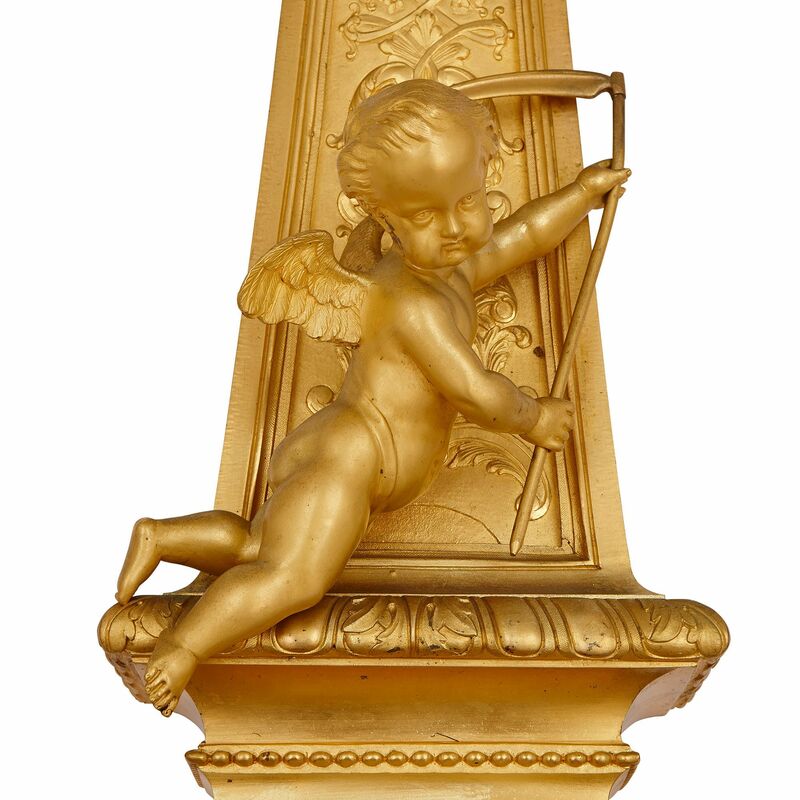 The clock pedestal is ornamented with scrolling, foliate patterns and mounted with a sculptural ormolu cherub, holding a scythe. 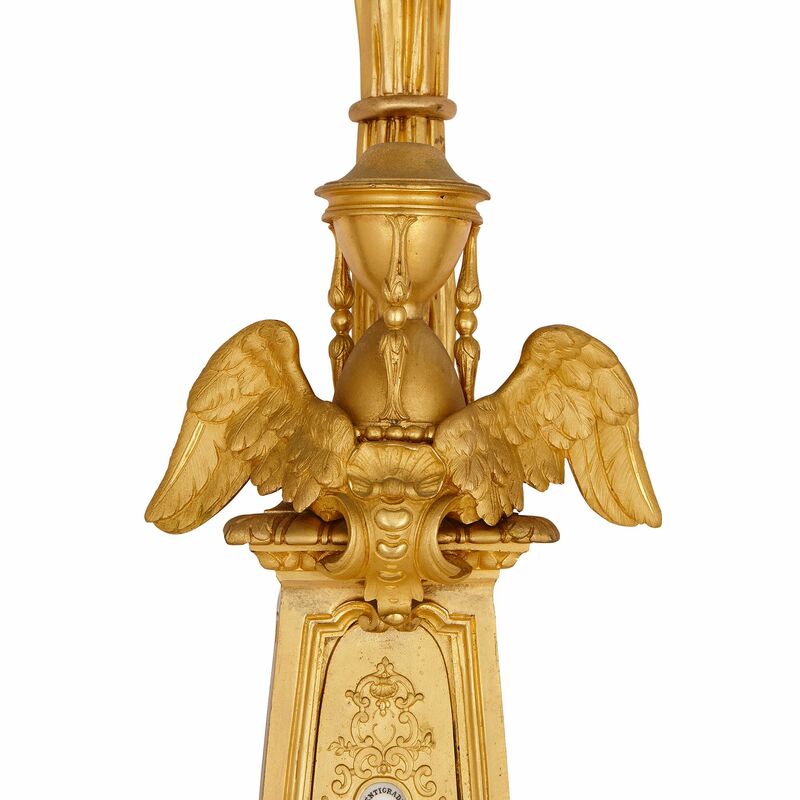 On the barometer, the pedestal features a thermometer, and is decorated at its base with a cluster of ormolu flowers. 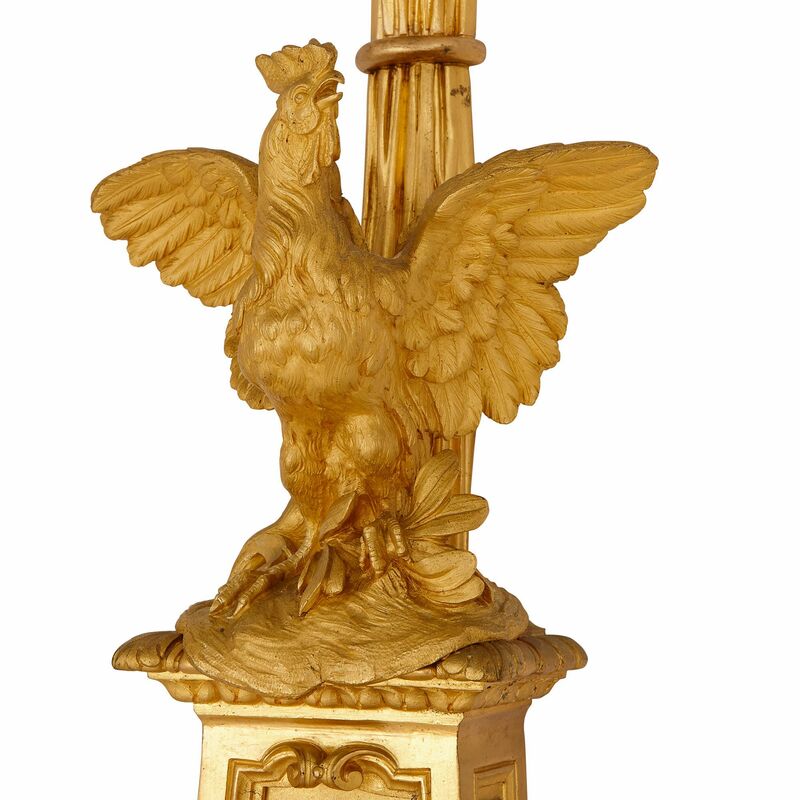 An ormolu cockerel – raised up, with its winged outstretched and beak open – tops the clock pedestal. 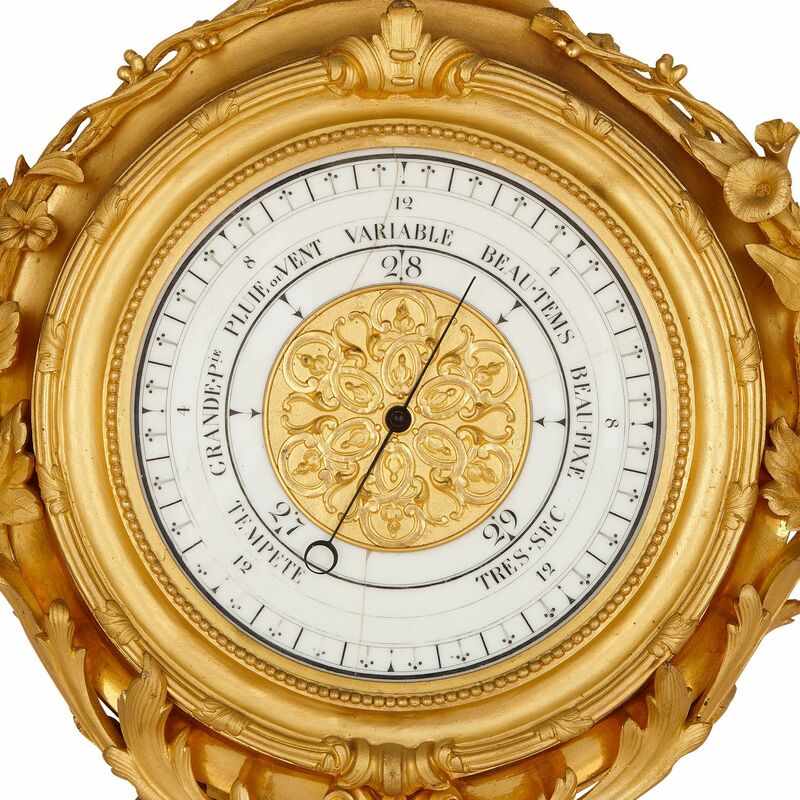 By comparison, the barometer is surmounted by an hourglass, mounted with a pair of wings. Both of these features reference the passage of time. Above, the clock and barometer meet the wall in crinkled ribbon bows. 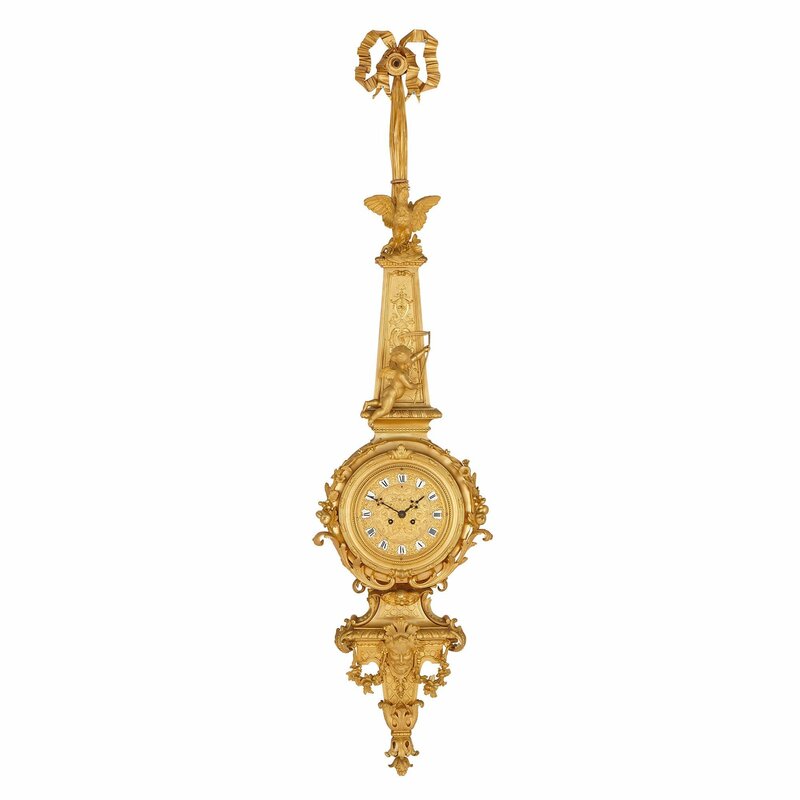 The two items have been attributed to Raingo Frères, the prestigious clockmaking firm that was based in Paris in the 19th Century. 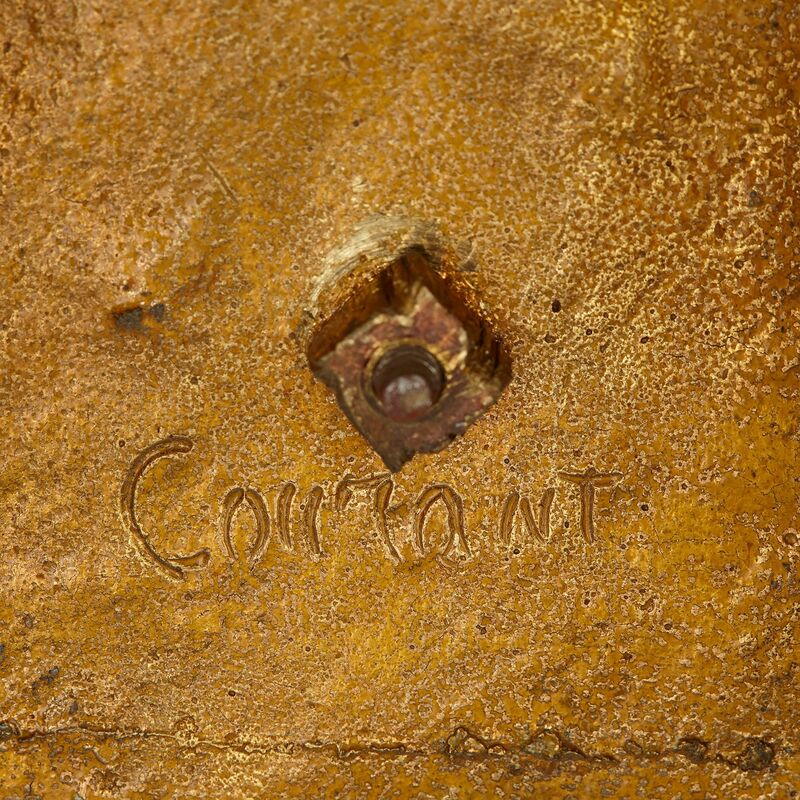 The company was the favourite supplier of Emperor Napoleon III and his wife, Empress Eugenie. Raingo Frères were well-respected firm, and they won multiple awards at the great International Exhibitions of the period.